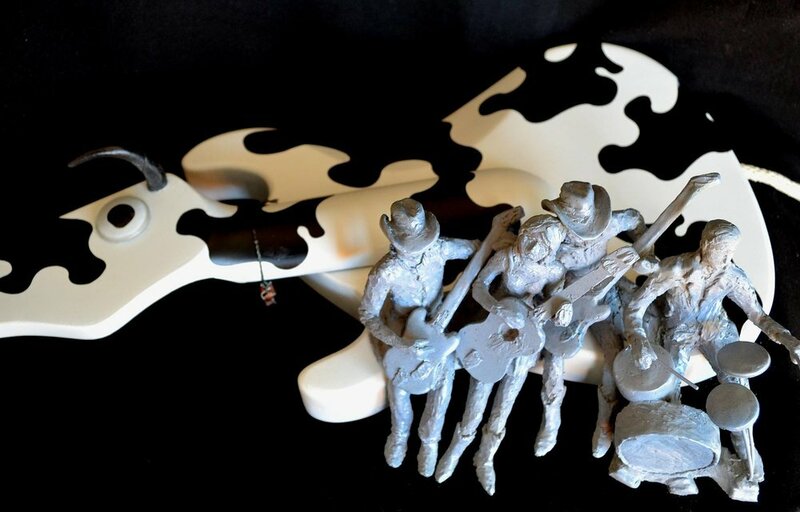 Check out this Gina & The Cow Tipping Playboys inspired instrument of art created by artist Mick Grochowski for the upcoming Tidewater Arts Outreach 6th Annual Instruments of Art Auction! Thanks to Mick for the nod, and don't miss your chance to bid on this masterpiece February 6th! For your consideration... voting ends Feb 1!